On Tuesday, the Baltimore Ravens announced that the team hired David Culley to fill in three roles on the coaching staff. Culley will serve as assistant head coach, wide receivers coach, and pass game coordinator. Culley, 63, is a longtime and well respected offensive mind in the National Football League. Culley primarily served as a wide receivers coach for numerous teams throughout the years. He began his NFL career with the Buccaneers before moving onto the Steelers and later the Eagles. 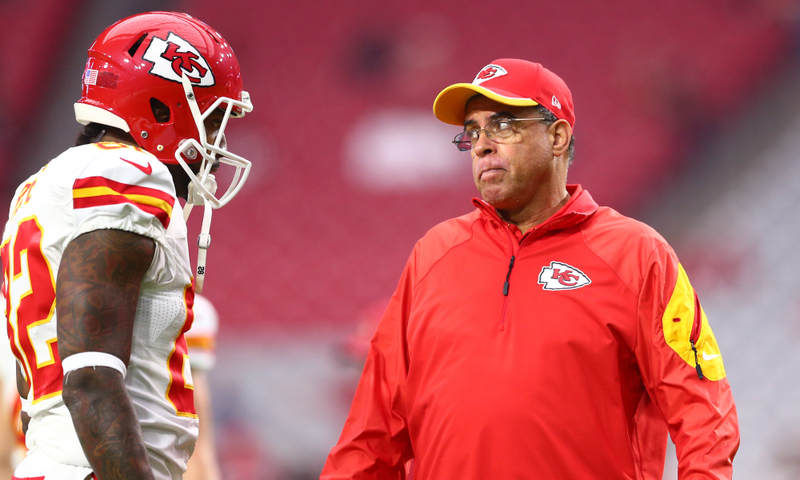 Culley spent 14 years on Andy Reid’s staff in Philadelphia, where he met coach Harbaugh. Culley moved on with Reid to Kansas City for four years before being named the quarterbacks coach in Buffalo. The Baltimore Ravens entered the market for a new wide receivers coach after the team promoted tight ends coach and run game specialist Greg Roman to the offensive coordinator position. Instead of hiring a new tight ends coach, the Ravens decided to switch the role of wide receiver coach Bobby Engram. Engram, a member of Baltimore’s coaching staff since 2014, was moved to his new position as tight ends coach. Culley will also serve as pass game coordinator, the position that was offered to Marty Mornhinweg after he was relieved of his role as offensive coordinator. Mornhinweg turned the offer down and has since remained a free agent in the coaching market. There remains one position on the coaching staff that still needs to be filled. The Baltimore Ravens lost running backs coach Thomas Hammock earlier this month. Hammock accepted the head coaching job at his alma mater, Northern Illinois University. The Baltimore Ravens will look to fill that position as soon as possible. Head coach John Harbaugh wanted to keep his offensive staff intact for 2019, but the prospect of keeping every coach on board was always impossible. He filled the first vacancy with another Andy Reid disciple and may do the same again soon.